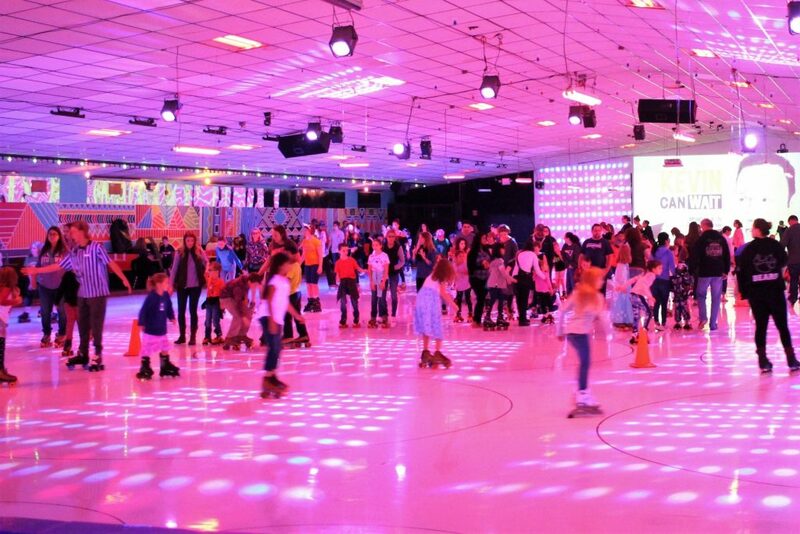 We offer traditional skates and inlines to rent, or bring in your own and take a spin around our beautiful maple floor. For the toddlers we offer great skate rentals that have training wheels. With the beat of your favorite music blaring, share an afternoon or evening with your friends and family. Great exercise! Great fun! Beat the outside cold or heat! Come on skating!! Not only is roller skating a fun activity, but it is also a great workout. There have been numerous studies that show the health benefits of roller skating. involves all of the body’s muscles, especially the heart. consumption, reduction of body fat, and leg strength development. (AHA) as an aerobic fitness sport. causes less than 50 percent of the impact shock to joints compared to running. the person will be getting all the fitness benefits that aerobics can offer. rate expends 285 calories and produces a heart rate of 148 beats per minute.